In the absence of a formal identity document, a driver's license may be accepted in many countries for identity verification. Some countries do not accept driver's licenses for identification, often because in those countries they do not expire as documents and can be old or easily forged. Most countries accept passports as a form of identification. Some countries require all people to have an identity document available at any time. Many countries require all foreigners to have a passport or occasionally a national identity card from their home country available at any time, if they do not have a residence permit in the country. 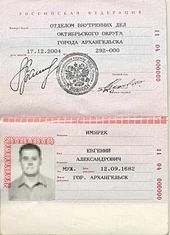 The identity document is used to connect a person to information about the person, often in a database. The photo and the possession of it is used to connect the person with the document. The connection between the identity document and information database is based on personal information present on the document, such as the bearer's full name, age, birth date, address, an identification number, card number, gender, citizenship and more. A unique national identification number is the most secure way, but some countries lack such numbers or don't mention them on identity documents. If religion or ethnicity is displayed on mandatory ID documents, this information can lead to racial profiling. A number of countries have voluntary identity card schemes. These include Austria, Belize, Finland, France (see France section), Hungary (however, all citizens of Hungary must have at least one of: valid passport, photo-based driving licence, or the National ID card), Iceland, Ireland, Saint Lucia, Sweden, Switzerland and the United States. The United Kingdom's scheme was scrapped in January 2011 and the database was destroyed. In the United States, the Federal government issues optional identity cards known as "Passport Cards" (which include important information such as the nationality). On the other hand, states issue optional identity cards for people who do not hold a driver's license as an alternate means of identification. 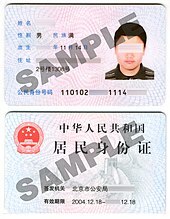 These cards are issued by the same organisation responsible for driver's licenses, usually called the Department of Motor Vehicles. Passport Cards hold limited travel status or provision, usually for domestic travel requirements. Note, this is not an obligatory identification card for citizens. Companies and government departments may issue ID cards for security purposes, proof of identity, or proof of a qualification. For example, all taxicab drivers in the UK carry ID cards. Managers, supervisors, and operatives in construction in the UK have a photographic ID card, the CSCS (Construction Skills Certification Scheme) card, indicating training and skills including safety training. Those working on UK railway lands near working lines must carry a photographic ID card to indicate training in track safety (PTS and other cards) possession of which is dependent on periodic and random alcohol and drug screening. In Queensland and Western Australia, anyone working with children has to take a background check and get issued a Blue Card or Working with Children Card, respectively.